Nicola Adams adored watching and studying footage of the "The Greatest" Muhammad Ali during adolescence in Leeds. The prolific reigning and defending Olympic gold champion - who is of Jamaican and Nigerian heritage - added the prestigious amateur world title to her ever-growing resume in May 2016 and appears to further etch her name in the history books in successfully defending the Olympic crown at this summer's highly anticipated Rio 2016 Olympics. Only one British athlete in Olympic history has ever achieved the monumental feat in claiming back-to-back gold medals in boxing in two separate Olympic games: Middleweight Harry Mallin (Antwerp 1920, Paris 1924). Heavyweight Boxing sensation Anthony Joshua also claimed gold for Great Britain at the London 2012 Olympics when Adams triumphed in claiming the Olympic crown. Nicola Adams discovered boxing by mere accident - similar to Muhammad Ali - and displayed the legendary Ali Shuffle at the London 2012 Olympics Final against women's boxing's world number one in China's Ren Cancan where Adams cemented her place in history as the first-ever female to win an Olympic gold medal in women's boxing; women's boxing debuted at London 2012 Olympics. When Nicola Adams first pursued boxing, there was no career paths for women in the sport. Additionally, there was no monetary funding available and Adams' ever-supportive mother paid for training camps and travelling overseas. The hardship and adversity would not end as the talented Leeds-born athlete could then not find an opponent and found herself working as an extra on hit British television shows "EastEnders", "Coronation Street" and "Emmerdale" to finance her goals. Low and behold, Adams' fortunes seemingly changed when the National Lottery began officially funding female boxers in 2007. Nicola Adams presently trains daily over five days a week at the English Institute of Sport in Sheffield; Adams trains three times daily and works with a professional health nutritionist to maintain superb conditioning. 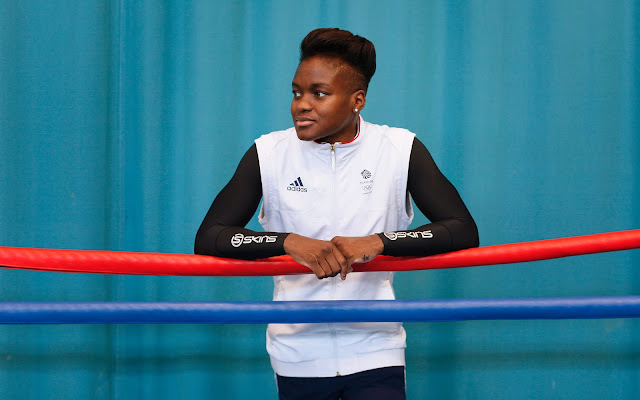 Nicola Adams is currently the United Kingdom's most recognized female boxer and a talented athlete which will become the flagship figure within the professional women's boxing ranks thereafter Rio 2016. Furthermore, the reigning and defending Olympic champion is openly bisexual and has become a role model and figurehead in the LGBT community; Nicola Adams was named Great Britain's most influential LGBT person by The Independent in 2012 and was later named as an MBE (Member of the Order of the British Empire) during the New Year honors for her services to boxing in 2013. At Rio 2016 Nicola Adams' four year inspirational journey will invariably culminate in international icon status when the popular British fighter rises to the occassion in Rio. 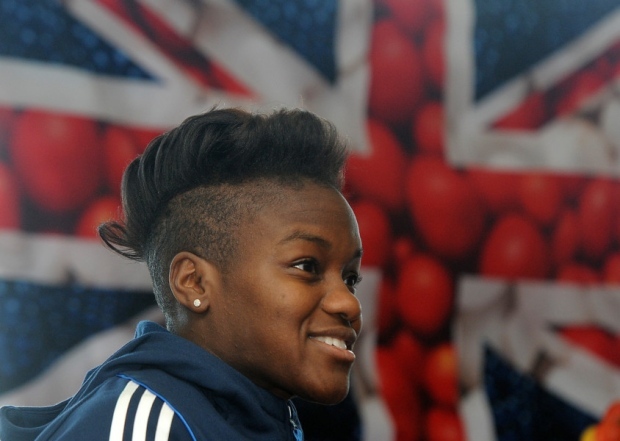 Nicola Adams has never backed away from a challenge and its time for her to redefine her own legacy in Brazil. The champ is here and here to stay.